High-density EVA foam in the side, front and roof panels dampens noise from all your components – or switch to the included dust filter roof panel when airflow is your top priority. 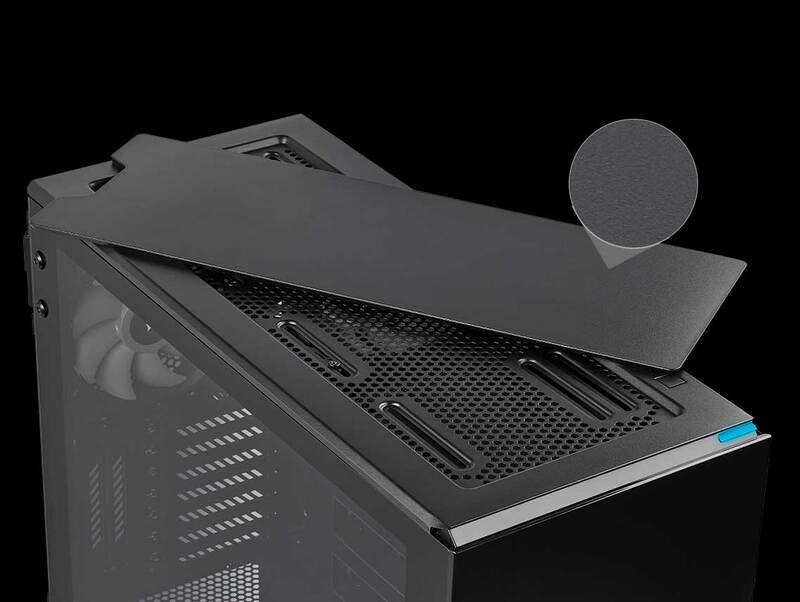 Fits up to 9x 120mm or 8x 140mm cooling fans. Multiple radiators in sizes up to a 420mm. ** Requires ODD to be removed. 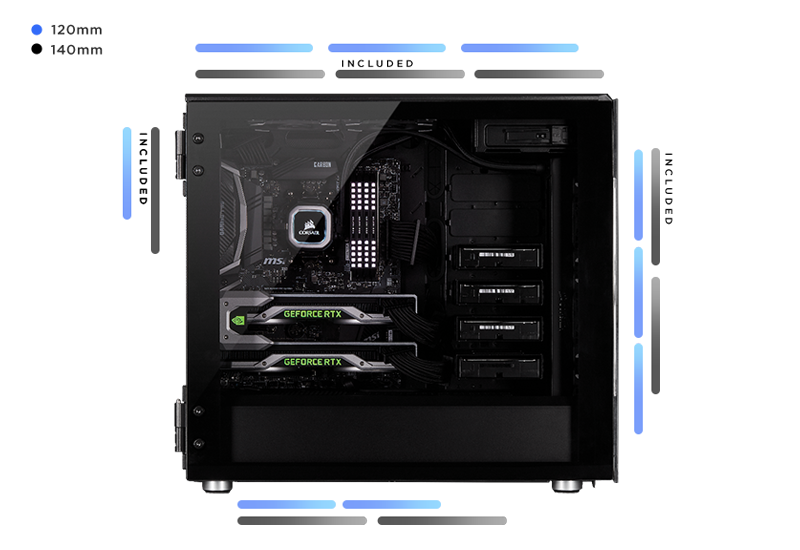 A PWM fan repeater controls three included SP140 PWM fans with room to power three more. Reduce fan speed when you want keep your system quiet, or increase when you want to push its performance, all from a single 4-pin PWM header on your motherboard. Access high-bandwidth 10Gbit/s via a reversible type-C connector. 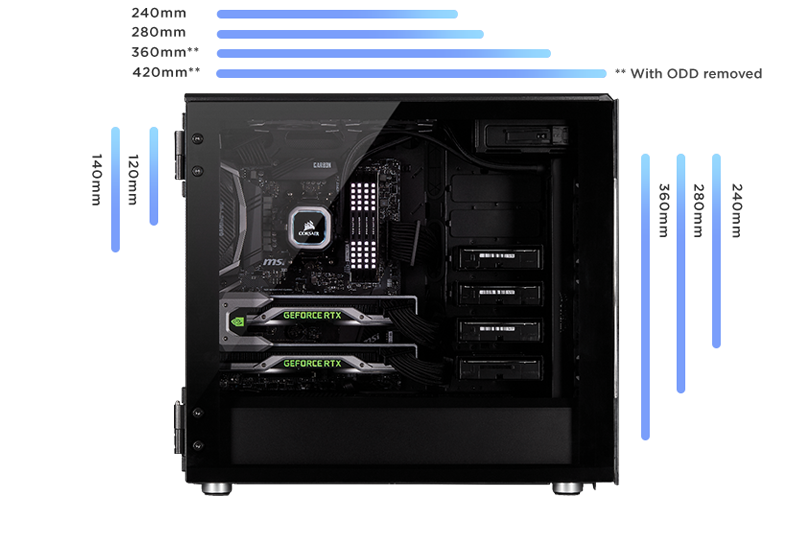 Install up to 1x 5.25in, 6x 3.5in and 3x 2.5in drives. 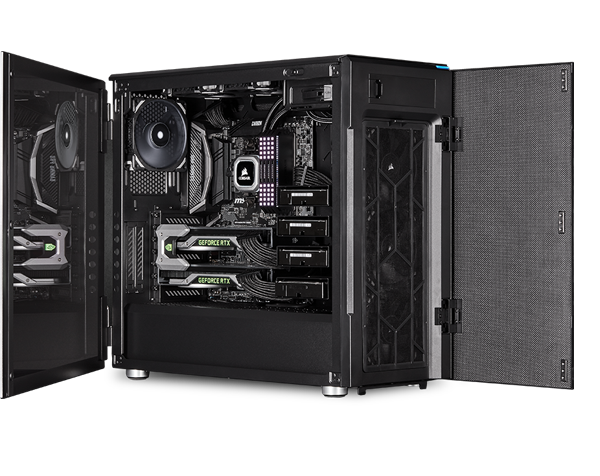 A versatile HDD/ODD design includes six modular trays that can be moved to eight mounting locations to give you the exact layout you want. 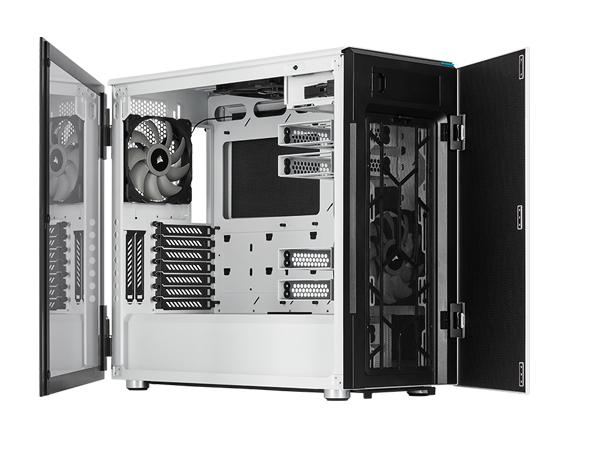 A hinged front panel and tempered glass side panel provide easy tool-free access. 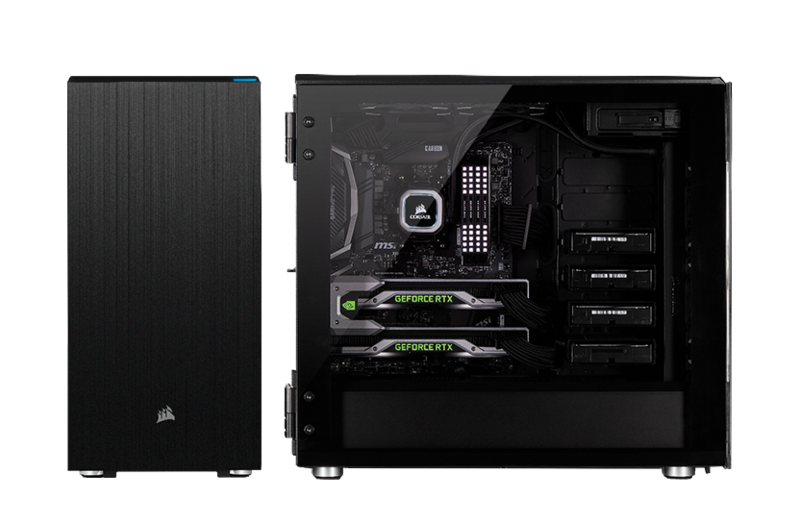 Turn the 678C into a smart case with a CORSAIR Commander PRO digital lighting and fan speed controller (sold separately), enabling detailed system monitoring and fan control through CORSAIR iCUE software. The Commander PRO, as well as the CORSAIR Lighting Node PRO, also unlocks full customization and synchronization of RGB lighting for all your iCUE-compatible CORSAIR products.